United Nations Radio presents a series of programs entitled New Voice. Programs for and about the recently independent African states in the world organization; on this occasion their economic situation. UN Photo 62083. 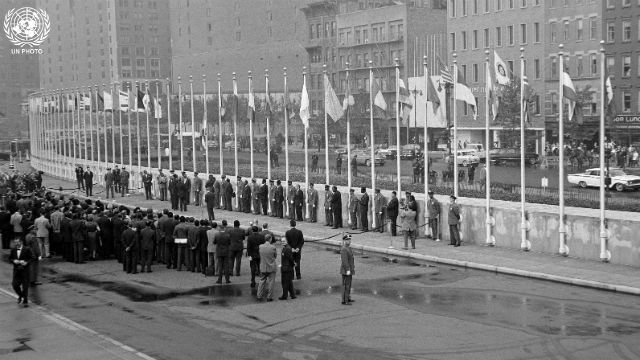 General view of flag-raising ceremony for 16 new Member States added to 82 flags flying outside UN headquarters in New York.